On A Mighty Girl, we feature thousands of books for children and teens about smart, confident, and courageous girls and women, but we are also often asked for reading recommendations for adults about inspiring women of the past and present. To that end, we're sharing thirty of our favorite books for adults about Mighty Women that were published in 2015. Among these titles are gripping stories of survival, insightful introductions to oft-neglected female scientists, hilarious tales about life in the entertainment industry, and thoughtful reflections on the quest for women's rights. Our recommendations are all biographies with the exception of one remarkable work of historical fiction, The Nightingale, and a fascinating non-fiction guide, 100 Under $100: One Hundred Tools for Empowering Global Women. Since A Mighty Girl's website does not have a book section for adult readers, you won't find these recommendations on our site; however, we've included links below to Amazon so you can learn more or order individual titles. So whether you're looking for a good book to delve into or a holiday gift for a friend, these women's stories are sure to inspire! And, to learn about our recommended 2015 releases for children and teens, don't miss our new post, The Gift of Reading: 50 Newly Released Books Starring Mighty Girls. Ruth Bader Ginsburg made her name as a feminist pioneer long before the Internet was a pop culture phenomenon, but nearly 50 years into her career, an unusual thing happened: Tumblr, and the rest of the Internet, adopted the newly-nicknamed Notorious RBG as a symbol of how far we’ve come — and how much work we still have to do. 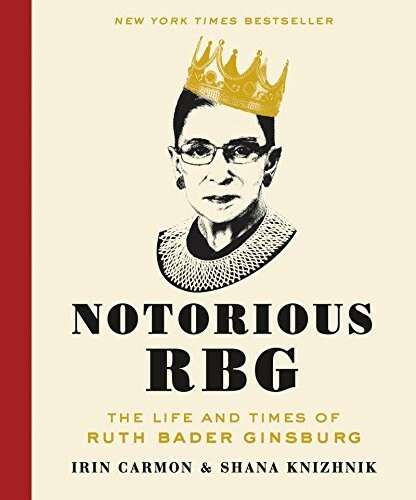 This fascinating book combines interviews, annotated dissents from Supreme Court cases, archival documents, and illustrations to create a unique portrait of the woman who has spent decades transforming the way that America sees women. Along the way, readers will be inspired by this dedicated woman’s unyielding strength of will. 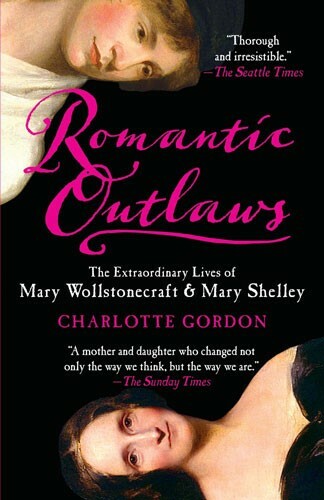 Despite being mother and child, Mary Wollstonecraft and Mary Shelley never knew one another; Wollstonecraft died less than two weeks after giving birth to her only daughter. And yet both women lived audacious, convention-defying lives — and left their marks on the world, Wollstonecraft with A Vindication of the Rights of Women and Shelley with Frankenstein. Gordon highlights the remarkable similarity between these two women, both of whom fought against injustice, loved passionately, and left behind works of literature that would make them immortal. This unique dual biography, told in alternating chapters, paints unforgettable pictures of two inspiring, defiant women. Friendships, romance, and fulfillment are difficult for everyone, but when you’re in the midst of Hollywood culture — and you can’t help but stand out — they take on new challenges. 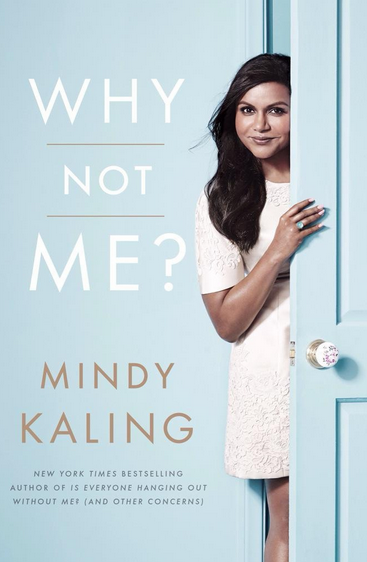 In this collection of humorous essays, Mindy Kaling explores tongue-in-cheek beauty tips (like ensuring that your dark skin tone is offset by Hollywood’s traditional honey blonde), our fixation on actress’ weight, and the strangeness of conducting a relationship (romantic or otherwise) under the scrutiny of an entire country. This funny book will speak to anyone who has faced a turning point in their life or career and wondered how they’ll possibly figure out which way to go. In 1944, three women in Eastern Europe were transported to Auschwitz — while in the early stages of pregnancy. 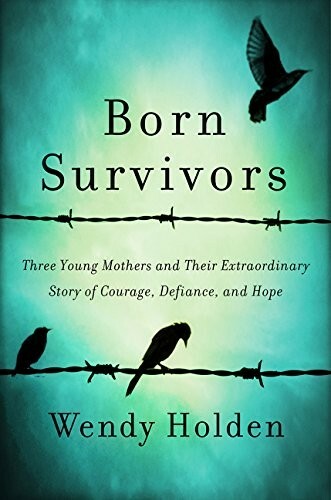 Rachel, Priska, and Anka found themselves in one of the most notorious concentration camps of World War II, with their families all dead — except for their unborn children. To keep these babies, the last connection they had with the husbands they had lost, these women would have to hide the evidence of their pregnancies from the SS and infamous Nazi medical experimenter Dr. Josef Mengele, keep themselves alive despite brutal work and starvation, and then, once they had birthed the children, hope for a miracle to see them all out of captivity. This remarkable story about love in the midst of horror and misery captures the incredible power of the human spirit. When Rachel Swaby read an obituary for Yvonne Brill that focused more on her domestic life than her remarkable career as a rocket scientist, she decided it was time to introduce the world to just a few of the amazing women we’ve rarely heard of. 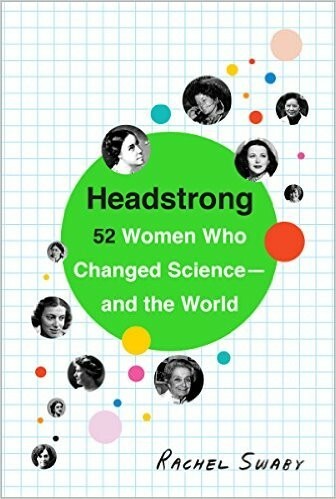 Headstrong features profiles of 52 women, both famous and little-known, whose discoveries and inventions have changed every aspect of our day to day lives. Suitable for teens and adults alike, readers will enjoy its mix of capsule biographies, fascinating trivia, and other attention-grabbing details. She may have become an American icon as the First Lady, but Michelle Obama’s talents extend far beyond her role in the White House. 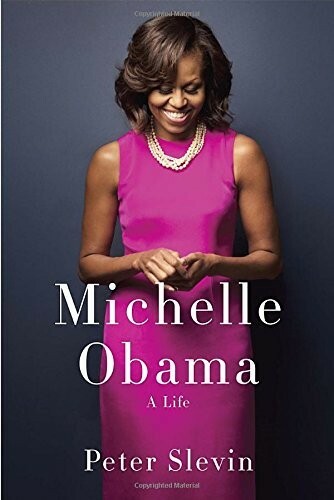 From a working-class childhood in a largely segregated neighborhood in Chicago, to racial struggles at Princeton University and Harvard Law School in the 1980s, and finally to difficult choices as she built a high-powered career of her own and raised a young family while still supporting her husband’s life in politics. This in-depth look at Michelle Obama’s life is both revealing and inspiring. 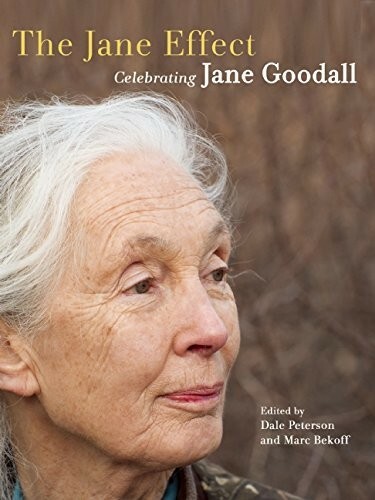 Over her almost 60 year career of groundbreaking work in primatology and conservationism, Jane Goodall has touched millions of people and changed the way we see the world. Now, this book pays tribute to her incredible influence with its collection of testimonies from friends and colleagues. In their stories, you see Goodall not just as her public face, but as a thoughtful, devoted, and engaging person. Over 100 original pieces provide a uniquely multifaceted view of the woman who has changed the way we think about what it means to be human. Both inside and outside the Mixed Martial Arts octagon, Ronda Rousey has faced incredible battles throughout her life, from the loss of her father to the intensity of training — and the personal sacrifices — required to become an Olympic judoka. 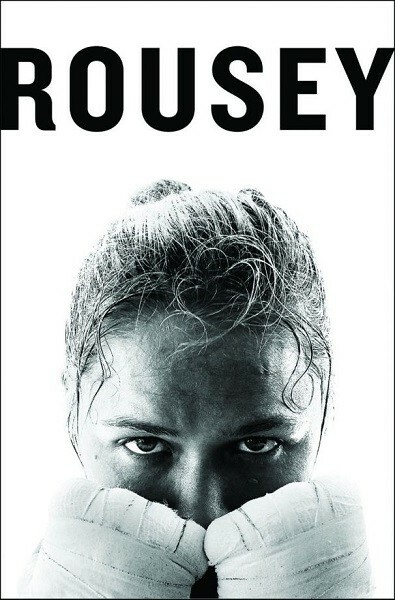 In this memoir, Rousey opens up about her meteoric rise to fame and her remarkable UFC record, as well as general lessons about how to be the best at what you do: turning limitations into opportunities and sacrifices into a source of fulfillment. With her signature charm and barbed wit, this memoir shows the power, determination, and strength — both physical and emotional — of this groundbreaking athlete. 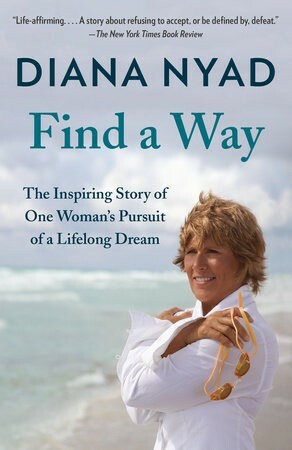 In her twenties, Diana Nyad was a champion and record-setting swimmer, but when her attempt at “the Everest of swims” — the 111 mile Florida to Cuba open ocean swim — failed, she stepped out of the water and didn’t swim a stroke for decades. And then, at the age of sixty-four, Nyad returned to the water... and finished the swim she couldn’t do at thirty. In this account of her swim career both past and present, Nyad explores why her age upon her successful attempt was less important than her determination, her ability to face her fears, and her desire to leave no “what ifs” in her life. 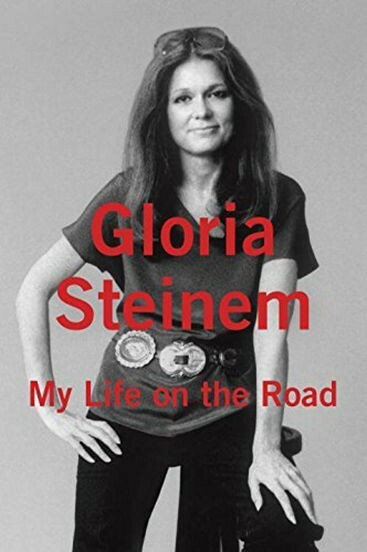 Gloria Steinem began her life as a traveler — her itinerant family drove across the country every fall seeking adventure and opportunity. This experience planted the seed that would lead to a lifetime of travel, of activism and leadership, of listening to people whose voices and ideas would inspire change. In this moving, funny, and profound story of Steinem's growth and also the growth of a revolutionary movement for women's equality, she urges people to adopt an “on the road” state of mind to change how we learn, how we listen, and how we understand one another. She’s known as the creator of some of the most audacious shows and iconic characters on TV today, but Shonda Rhimes reveals a little-known secret in this book: she was a severe introvert who suffered panic attacks at media interviews and hired a publicist to avoid public appearances. But after prodding from her sisters, Rhimes decided to try an experiment: for one year, she said “yes” to everything that frightened her. 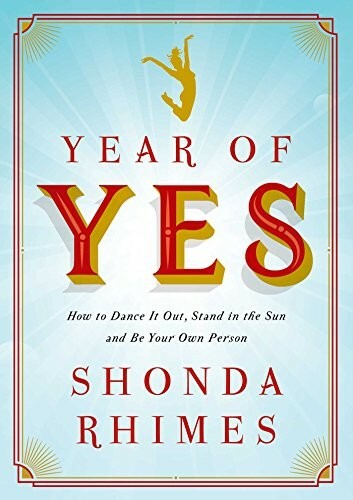 Rhimes uses this tipping point as an opportunity to explore her life both before and after her 'Year of Yes' in a conversational, funny way. Her story of choosing to do everything she didn’t dare to is sure to inspire. Lynsey Addario was a young photographer when September 11 changed the world — and her career: as one of the few photojournalists with experience in Afghanistan, she was asked to cover the war. Soon, she became known for her willingness to leave the safety of home and dive into dangerous, murky waters in search of truth. And she faced the consequences directly: her kidnapping by pro-Qaddafi forces during the Libyan civil war made headlines around the world. She struggled with both sexist attitudes in the male-dominated journalism world and cultural restrictions in the places she traveled, but her remarkable photographs have helped to put a human face to the people behind the news stories. 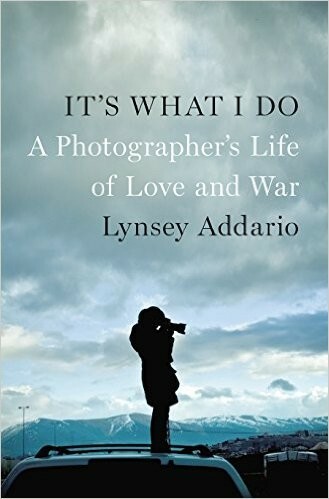 This intense memoir features many of Addario's photographs and provides a unique look at the sacrifices people make to bring us news from around the world. When Jessica Posner spent a semester working abroad in Kenya, she met Kennedy Odede, the founder of Shining Hope For Communities (SHOFCO). Odede knew firsthand just how difficult life could be in Kibera, Africa’s largest slum: he grew up on its streets, foraging for food and teaching himself to read using old newspapers. 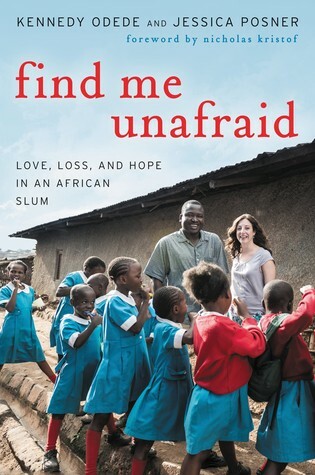 Posner then defied convention for foreign workers by choosing to live in Kibera, with Odede, and soon their connection turned into love. Eight years later, the now husband and wife are founders of the slum's first free primary schools for girls, which bring education and hope to hundreds of girls who would otherwise lack access to education. Their incredible story captures both the power of love to blossom despite vastly different backgrounds and the ability of young people to change the world. The daughter of Joe and Rose Kennedy, Rosemary seemed to live a charmed life, full of exclusive schools and debutante balls. But the family carefully concealed a secret: Rosemary was intellectually disabled and increasingly left behind by her competitive siblings. And yet she retained a fighting spirit that posed problems for a political family in a time when a disability was seen as the sign of a family’s failings. The heartbreaking result: her parents had her lobotomized at the age of 23. 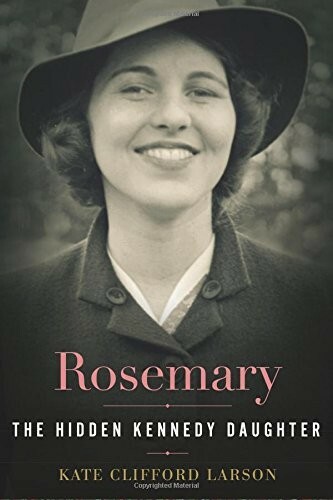 Full of major new sources, including Rosemary’s own diaries, this book is a touching and painful account of a young woman whose potential was taken away and the effect it had on those around her. 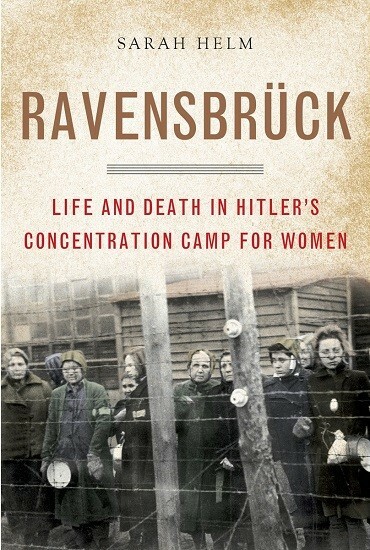 The infamous Ravensbruck concentration camp — a camp designed specifically to contain women prisoners — eventually saw over 130,000 women pass through its gates. Most of them were not Jewish; instead, they were other “inferiors”: political enemies and social outcasts, as well as the sick, disabled, and “mad.” But for decades, the truth of the camp was hidden behind the Iron Curtain. By interviewing survivors and reviewing testimony released after the end of the Cold War, Helm reveals the atrocities of the camp but also the countless acts of bravery, defiance, and self-sacrifice that took place within its walls. Equal parts chilling and uplifting, this book will remind the reader of both the great good and terrible evil that humanity can perpetrate. The twin boys that Wayne and Kelly Maines adopted could not have been more different: Jonas loved trucks, sports, and other “boyish” pursuits, while Wyatt sought out princess dolls and dress-up clothes. By the time the twins were toddlers, Wyatt was insisting he was a girl. In the process of coming to understand Nicole, their daughter, the Maines faced conflict both within and outside the family. It meant rewriting the script at home and the rules at school and in a community that was suddenly forced to confront its prejudices. 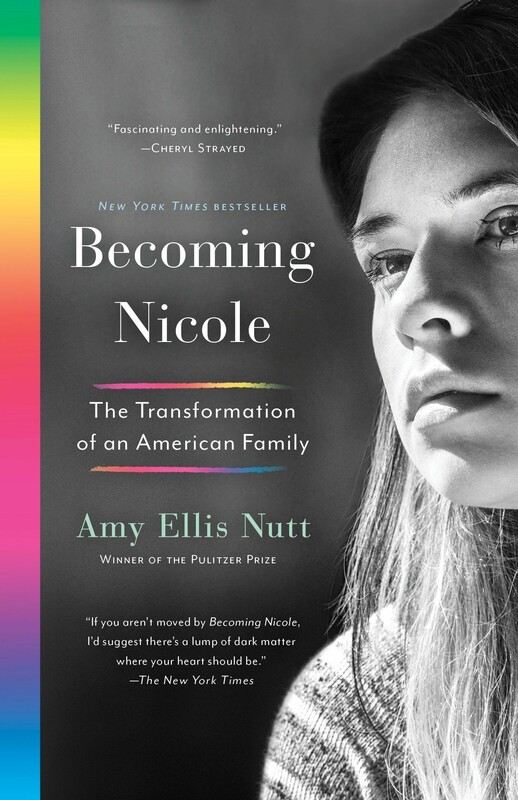 This inspiring story of a transgirl who stood up for the right to be herself — and the family and friends who stood by her — sheds a new, very personal light on one of the great cultural debate of our time. From the Montgomery Bus Boycott to the service of black troops in Vietnam, one woman opened a country’s eyes to a new perspective — and yet Ethel Payne’s name is little known. 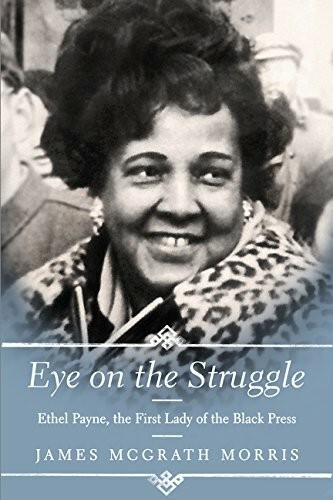 In this book, Morris introduces the world to the woman whose incisive and groundbreaking coverage of the Civil Rights struggle made her an “instrument of change” for African American people. Her story mirrors the change in our society and the slow but steady progress being made towards equality. Her achievements and her legacy highlight the power of a single person’s voice to change the world. Sometimes you find home and identity not in one place, but in the cheers of crowds across the country. Carrie Brownstein, the guitarist from the pioneering band Sleater-Kinney, explores her discovery of the power of live performance as her band became icons in the feminist punk-rock movement of the 1990s. 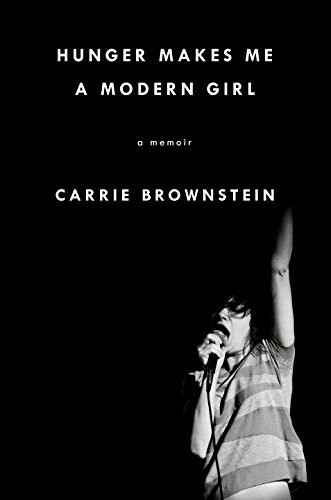 In an authentic, raw voice, Brownstein captures the experience of moving from a childhood as an outsider to finding her true calling as a performer, author, and the excitement and contradictions that come from riding the wave of an entire movement in music. When the Civil War began, Washington D.C. was a small and social town whose community was torn apart by the warring sides. As those who supported the South left the city, they left friends who supported the North struggling with issues of safety and sanitation as Washington was turned into a massive Union Army camp and hospital. And with the men away at war, it was the women who took on crucial tasks, from working as nurses to making munitions to printing the money needed to support the war. 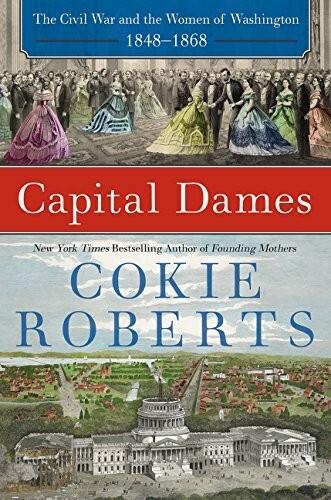 Roberts captures the increasing independence and empowerment that these women experienced as the war went on, as well as their crucial role in holding the Union — and the country — together both during and after. While their stories are little known, their influence resounds as the beginning of a change in the way America saw the place of women. For over five decades, one woman reported from the front lines of American politics. 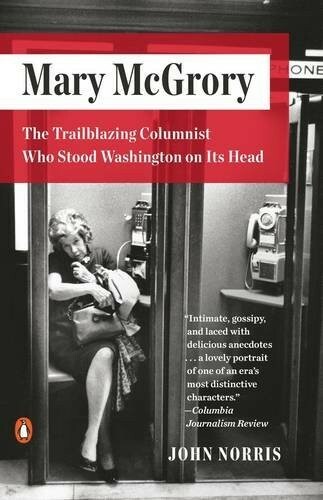 Mary McGrory, a trailblazing columnist with national syndication, began her career with Army-McCarthy hearings, won a Pulitzer for her coverage of Watergate, and became infamous for her critical observations of post-9/11 government decision-making. Along the way, she broke every rule in the journalism book in her quest for the next scoop — and the details that would bring out the humanity in her subjects. Norris’ story sounds like an inside scoop itself, full of juicy details; it’s a fitting tribute to one of the sharpest wits to sit at a typewriter. 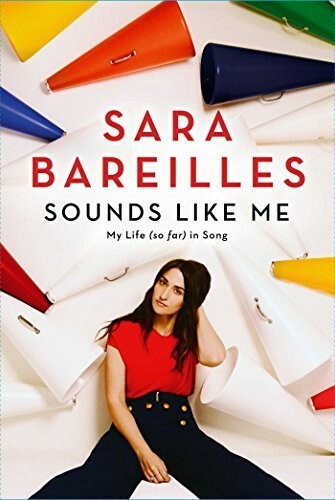 Sara Bareilles burst into the public eye in 2007 with her single Love Song and stayed there with more recent chart-toppers like Brave, but along the way she had to figure out the secret to writing hits while staying true to herself. In this conversational book, the singer-songwriter talks about self-discovery, artistic creation, and the balancing act between fame and sense of self. It also provides a behind-the-scenes look at the creative process — and the stories behind — some of her most popular songs. 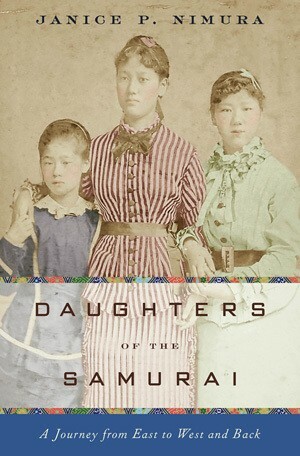 In 1871, five Japanese girls from samurai households were sent to live in the United States. Their mission was to learn Western ways and return to raise a new generation of enlightened men, destined to lead Japan into a new century. Three of these girls, Sutematsu Yamakawa, Shige Nagai, and Ume Tsuda, became celebrities upon their arrival in San Francisco: their travels and traditional clothing were the talk of the country. And as they learned English as American schoolgirls, American friends were delighted by their intelligence and high spirits. Ten years later, they returned to Japan — determined to revolutionize women's education. Nimura captures a unique incident of cross-cultural fascination and connection in this book, which draws on decades of letters between the girls and their host families, and deftly explores the infancy of feminism in Japan. Famous for her role on Star Trek: Voyager as Captain Kathryn Janeway, Kate Mulgrew grew up with poetry and drama, but she also saw in her mother’s example the danger of deferring dreams —defer them too long and they won’t come true. So when she found her calling as an actress, she was determined not to let anything stand in her way. It was the motivation behind difficult decisions, including putting a child up for closed adoption when she was 22. It wasn’t until twenty years later, after a whirlwind of celebrity and the brutal work schedule that comes with it, that she was ready to face her flaws, find her daughter, and take on some of the most challenging roles of her life — both on and off screen. 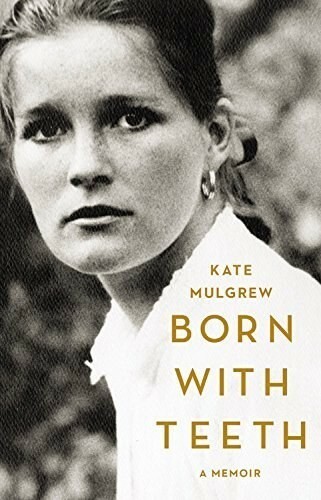 Fans of Mulgrew will find this memoir honest, unflinching, and heartfelt. 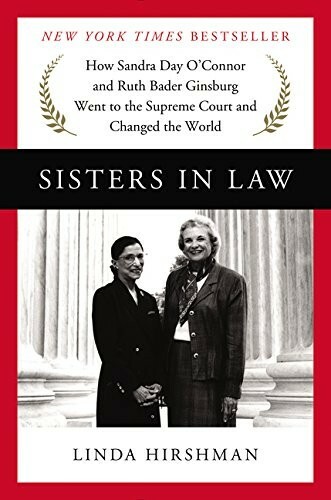 Sandra Day O'Connor and Ruth Bader Ginsburg were the first two women ever to sit at the Supreme Court bench, and while their individual stories are fascinating, equally intriguing is the story of how they supported one another despite their differences. Their friendship transcended political, religious, region, and culture as each of them fought for recognition in a male-dominated profession and strove to make things better for the women who followed after them. Hirshman’s dual biography juggles legal fact and personal anecdote for a rounded and complex look at two remarkable women and their equally remarkable friendship. 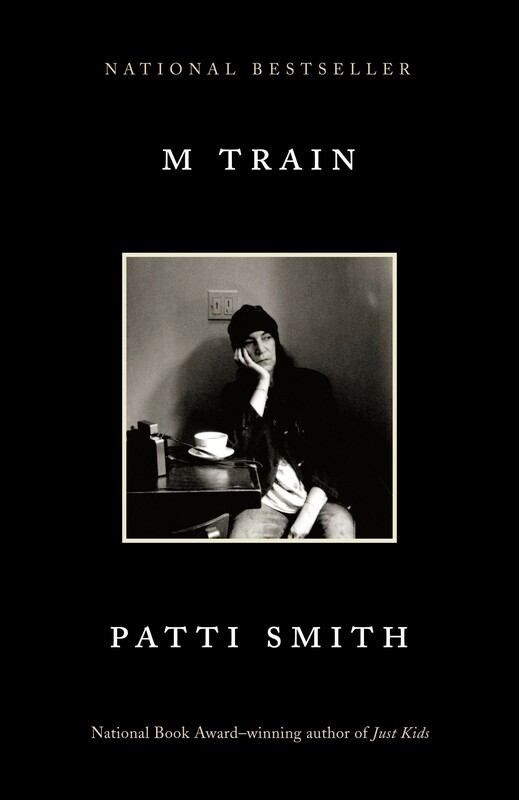 Patti Smith calls this book “a roadmap to my life,” and like any good journey, the road has its twists and turns. Beginning in her favorite Greenwich Village café, Smith’s thoughts wander from past to present and from dreams to reality. In between stories of events and meetings are reflections on writing and art, travel, love, and coffee. Smith’s signature Polaroids add the final touch to this unique and intriguing look at the woman whose albums merge poetry and rock and roll. 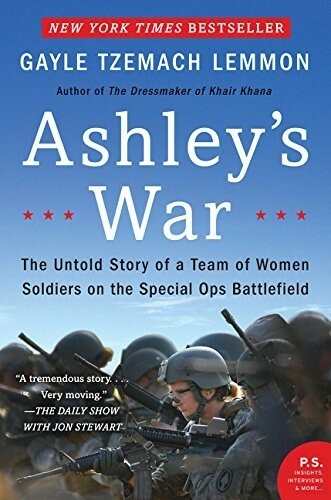 Officially, women are not involved in US special operations, but in 2010, the Army created Cultural Support Teams, a secret pilot program to incorporate female units alongside Special Ops soldiers. These women could comfort and question the women of households in Islamic countries in a way that no man could. CST-2, a unit hand-picked by the Army, became the pioneers of the program, but along with the highs of proving themselves to their male colleagues came isolation and loneliness: the only people who understood any of them were their fellow CSTs. This book reveals the valor and conviction — as well as the heartbreaking losses — that these women experienced in their quest to serve their country. 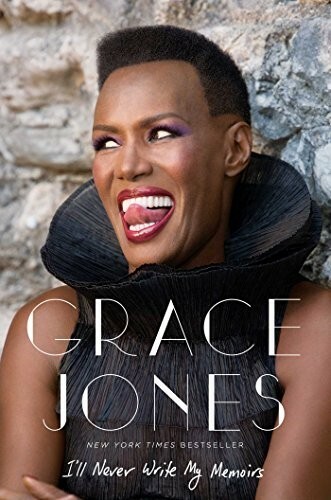 Singer, model, and actress Grace Jones chronicles her life as a challenging but iconic figure in the world of entertainment since the 1970s. She defied her strict religious upbringing and decided that she would answer to no one and became famous for her gender- and expectation-defying performance. Throughout it all, she swore that she would never take the predictable path by doing something as ordinary as writing a memoir — and yet some stories are too good not to tell. In this book she captures her turbulent and experimental life and career, complete with sixteen pages of photographs including many from her personal archive, to create a vibrant and exciting portrait of herself. 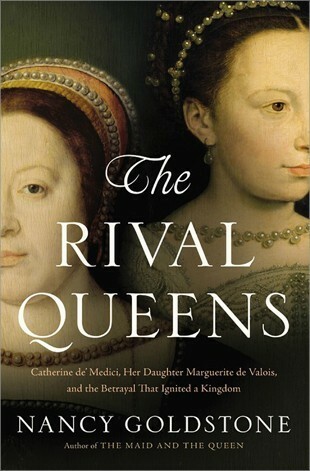 In the midst of the French Renaissance, power broker Catherine de’ Medici wrestles with her inability to control her free-spirited daughter, Marguerite. But when she uses Marguerite as a pawn in one of her plots, marrying her against her will to her Protestant cousin Henry of Navarre and using their wedding as an opportunity to lure out his followers, she makes a critical miscalculation: Marguerite will not stand for being used as a piece in someone else’s game. This vividly written story brilliantly captures the court intrigue, betrayal, and conflict that nearly tore France apart. From her birth in the early years of the Soviet Union, Svetlana Stalin led a protected life: Communist Party privilege ensured that she never faced the starvation and purges that haunted others. Yet even she faced tragedy, including the loss of many loved ones: her mother, siblings, aunts and uncles, and even a lover deliberately exiled by her father. It wasn't until after her father's death that she learned the true extent of her father's brutality — and then she shocked the world by defecting to the US. 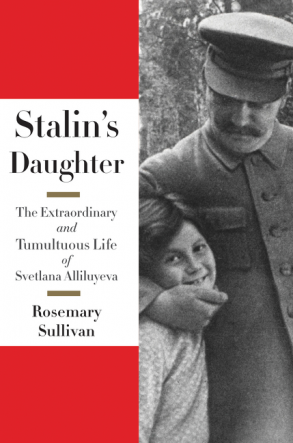 With material from KGB, CIA, and Soviet government archives, Sullivan explores the incredible life of a woman who was doomed from the moment she was born to live in her notorious father's shadow, yet dared to try to create a life of her own. 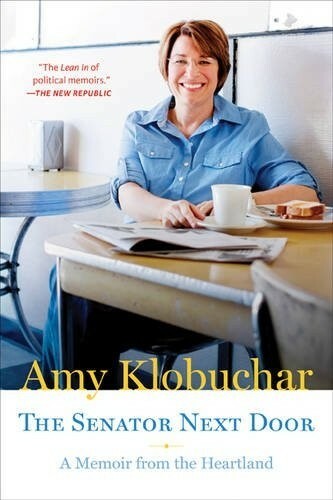 Amy Klobuchar chronicles her political career — and the many obstacles she faced to get there — in this candid memoir that captures her unshakable faith in America’s democracy. As a child, she learned from her immigrant grandparents about the power of the American dream, but also watched her parents’ marriage fall apart and her father struggle with alcoholism. Her experience being kicked out of the hospital while her newborn daughter was still in intensive care turned her attention to politics and policy setting, and she eventually became the first women elected as Senator for Minnesota. Today, her sens of optimism makes her fiercely determined to find a new way for politics to get done — a way made up of alliances that cross party lines to focus on what really matters. Jennifer Teege, a German-Nigerian woman, found her life changed forever when she pulled a library book off the shelf and recognized her mother and grandfather in its photos. To her shock, she learned that her grandfather was Amon Goeth, a vicious Nazi commandant nicknamed the “butcher of Plaszów” who had been executed for crimes against humanity in 1946. 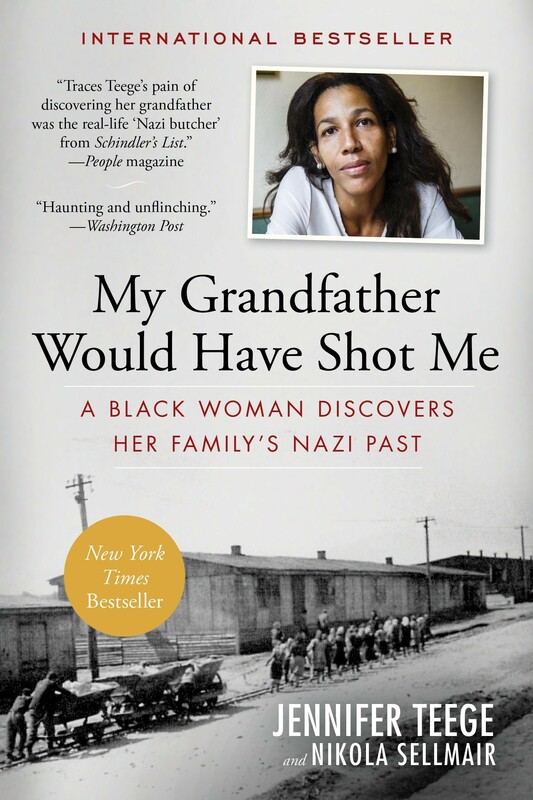 The discovery led to a crisis of identity and a determination to understand her family’s past and how she could reconcile her images of her estranged mother and beloved grandmother with the historical realities of their lives. This harrowing discovery became a turning point for Teege; her search for understanding resulted in a new sense of herself and her place in the world. Ada Lovelace translated Charles Babbage’s plans for a mechanical calculator in 1842, but this mathematical genius did more than just rewrite his words: she also added annotations three time longer than the original work and buried within them was the origin of computing theory. Sadly, the Difference Engine was never built... but what if it had been? 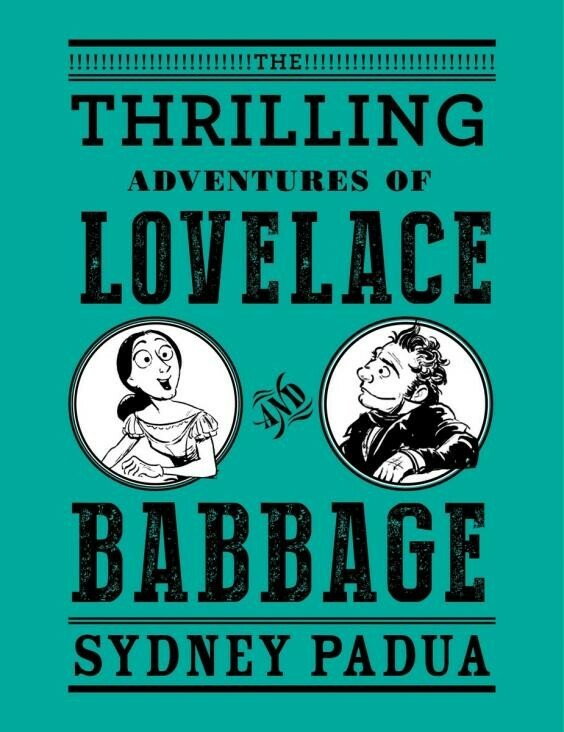 In this rollicking graphic novel, Padua presents an alternate reality where Lovelace and Babbage build their machine and use it for everything from exploring mathematics to fighting crime. This unique and intriguing graphic novel that combines history and fantasy is sure to delight. Both history and historical fiction often focus on the story of World War II’s soldiers — but what about the lives of the women left behind? When Vianne’s husband left for the front, she didn’t believe that the Nazis would invade, but when they do, she finds herself billeting a German officer against her will. Meanwhile, her sister, Isabelle, has gone from a wartime love affair to joining the French Resistance, where she risks her life time and again in the hopes of defeating the hated foe. 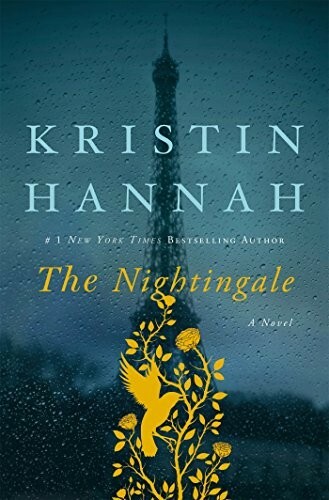 Inspired in part by the story of 19-year-old Belgian Resistance heroine Andrée de Jongh, this work of historical fiction provides a unique look at the strength of women in wartime. For more recommended books for adults, check out our previous blogs, Stories of Mighty Women: 2014 Biographies for Adult Readers and Inspirational Women: Biographies for Adult Readers for Mother's Day. For biographies for children and teens, visit our extensive Biography Collection. For more blog posts featuring gift ideas for this holiday season, visit our 2015 Holiday Guide blog series or our 2015 Girl Empowerment Gift Guide.